I found I was way too distracted by trying to be everywhere all at once. So I dove in and absolutely skyrocketed my business. I’ve grown a large global client base and was just recently invited to do a workshop at a castle in north Germany for a really cool client. I brought my girlfriend and we traveled to Berlin, Amsterdam (my new favorite place), Nice France, Poland, New York, Vegas, and Wisconsin. And I’ll tell you, Madison Wisconsin is an awesome city! I’m now growing my OWN team so we can better serve our clients and I can get also back into the content game (because I love sharing ideas) and wanted to share the big topics that have kept coming up in our training and sessions. Check out this quick video and if you like it, register below for the free training that’s coming up as well. 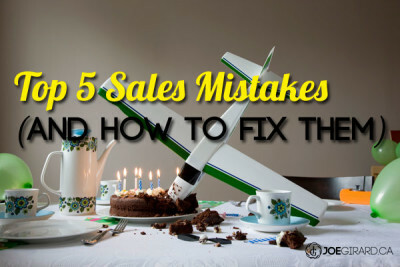 I see this mistake happen quite a bit where people simply reach out to their customers and try to pitch them. They use “I” and “we” language and essentially just talk about themselves. In one of my coaching sessions we loaded the client’s emails on the screen, highlighted the words “I” and “we” and compared it to the highlighted word “you.” We instantly found the disconnect. So when communicating with potential customers (or anyone for that matter), ask yourself, “Is this for me or is this for them?” I do this every time I am about to send an email. What do you send people? What do you talk to them about? Add value. Make it about them. Share things that will help them TODAY. Give your best stuff away for free and basically show them you are worth talking to. In every communication – email, text, voicemail, face to face, phone, etc. But when we are not our truest selves, it sets of the BS radar in our client’s minds. It taps into that primitive, reptilian brain and they INSTINCTIVELY know “this doesn’t fee right.” It also lets them know they are in charge and positions you as a sales rep.
And trust me on this one, because we have been testing this concept for more than a year. Start every conversation as authentic as possible and watch how quickly they change. When I added authenticity as a METRIC to my own sales conversations, everything changed. Also it has helped me for how I craft emails, blogs, videos, and everything else. Just look at how you show up everywhere you go and compare it to how you would like to show up. Forget about pitches! In the five buying decisions, most of us forget that product and price are number 3 and 4 on the list and that YOU are the thing they buy. It is all about your ability to connect with them, to share insights, to ask amazing questions, and ultimately get them to think differently about their own business. If you can get your customer to think differently about themselves, they will think differently about you. So stop telling them what you do, and start showing them how you can help. Demonstrate your ability to understand their business. Connect the dots and show the change path for them. Get them to know, like, and trust you. Then show them how you can help them get where they need to go. And use questions as much as possible. Being able to dig into issues is a huge skill. We are all busy. Your customers are busy too. And how darn frustrating is it to keep calling them, emailing them, and basically getting no response? Wen we look at our client’s sales processes, it becomes clear quite quickly. There is no contact strategy in place. Nothing to test, not sure what works, and they keep doing the same thing over and over. You can also use automation tools and do these processes for every type of customer you have. Sound familiar? Well, you need to make sure you are coming across as an EQUAL to your clients. That you are partners in this. All of the other four tips add up to this one. Get the customer to see you as a strategic resource, not as a nuisance. If I can get that across right away and make them see me on the same level, then we can have the right conversations about their business. How do you do it? Well, you have to be prepared, you have to see things they don’t, and you can’t be looked at as an employee of theirs. The employee mindset will kill you. And you have to focus every time on who you are BEING. Be confident and committed to helping them as partners, and you will see more deals start popping. Join me tomorrow to dive deeper into this.